coffee – Schoolspiration by Kamina Fitzgerald Ed.D. Best Coffee for your Buck: Keurig Lattes (from home), Mum and Pop Coffee Shops or Starbucks? I have been going to Starbucks since it became “A Thing” in the early 2000s. I know it started in 1971, but it didn’t become huge until then. I remember seeing people walk around toting their cup with a feeling of importance and caffeine-induced gratification. It created Starbuck Snobs, who felt better than the person holding their Mum & Pop, or Dunkin Donuts cups. As the years have gone by and the prices have gone up, I began to question my consistent support of buying from mostly Starbucks. Surely, there had to be places where I could get a cup of coffee for less than $6.32. Then the self-reflection began…. Make your own lattes – I started doing this within the past year or so and my drinks taste better than the coffee shops, thanks to Natural Bliss coming up with this delicious Coconut Milk Creamer that I love! 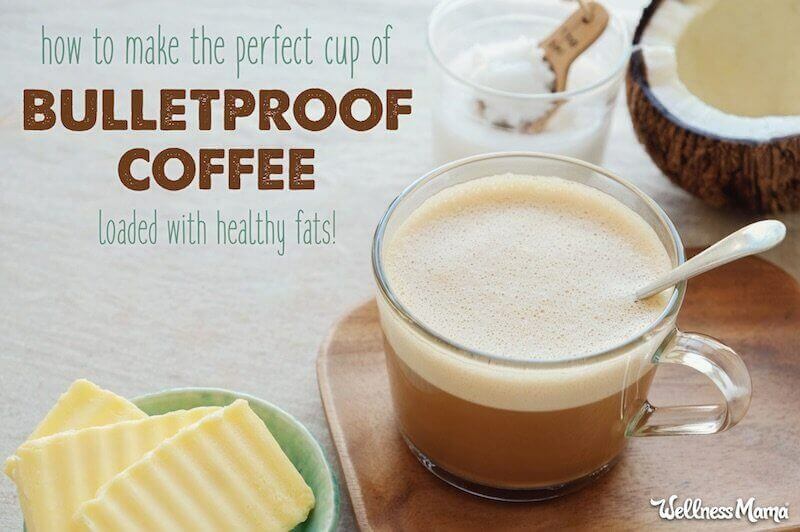 I also add a dash of cinnamon and teaspoon of coconut oil to make it a “bullet proof” coffee. 2. Visit one of the Mom and Pop shops around town – The price may be cheaper and there may be a chance to try a different type of drink, especially during each change of seasons! 3. Put yourself on a strict budget! Below is an article about budgeting and video sharing how to choose the best coffee for your money, I also included a link about “bullet proof” coffee since I had some inquiries about that. Have a Stupendous Saturday! Coffee Cheers! *Check out this video about Which Coffee is the best Value? I absolutely had to share this article by Heather McClees, it offers a plethora of wellness tips, enjoy! Most of us hear the term wellness and assume that it’s something beyond our reach. Or perhaps we think that wellness is only for advanced yogis, holistic doctors, or wellness practitioners, but not us — not everyday people just working the daily grind and living busy lives. But this is where we make the mistake. Wellness is nothing more than small daily choices that lead up to lifelong, very big changes — that’s it. Anyone can achieve wellness whether that means you’re a stay at home mom or a full-time working adult, maybe even juggling two jobs just to get by. You don’t have to have a lot of money, time, or even kitchen skills because all of us have access to wellness if we choose to. It simply starts with one choice after another. To help you achieve wellness in 30 days, here is a checklist you can go by that if followed, will have you well on your way to a healthier and happier you in just a month. These tips are simple, doable for everyone, affordable, and absolutely life-altering when all combined. Berries are an incredible food, rich in nutrients for our brain, our digestion, and they’re disease-preventative. They’re also a fresh source of produce and keep us fuller than processed cereals with dried fruits. Add 1/2 cup of your choice frozen or fresh berries to either a smoothie, oatmeal, or just have some with some unsweetened coconut yogurt and a little chia or flax seeds. Berries are also a great source of vitamin C to kickstart your immune system. Eating one green vegetable per day or one leafy green is a great way to get yourself healthier in the kitchen without much thought. It can be a cup of broccoli at dinner or spinach snuck into a smoothie. A cup of green beans at dinner or some leafy kale tossed with chopped sweet potato and some simple seasonings. Anything counts, just make sure it’s green, natural, and from the earth. These foods provide us with more nutrition than any food out there. They alkalize our bodies, promote mental wellness, and protect us from major forms of disease. A new health practice that many observe, drinking water is essential to hydrating your body first thing in the day after a night long fast. It helps wake you up and is an excellent way to flush out your body first thing to keep you regular, a key part of staying healthy. Remember, your body contains (and needs) more water than most of us realize. Be sure you’re giving it enough, starting first thing — even before the coffee! Coffee and tea are two of the most amazing sources of antioxidants in our diet, so long as they’re sustainably (preferably) organically sourced, so they’re produced without pesticides. These two beverages boost mental health, liver health, and promote a healthy heart. The key is to leave out the sugar and milk, which takes away most all their benefits. Coffee is evenbeing studied most recently for its healthy effects on the longevity and cancer prevention, while tea has been a long-standing healing remedy for years. Enjoy 1-2 cups of either in the morning, and even again in the afternoon before 3 p.m. if they’re caffeinated. Cooking at home does two things: It puts you in touch with the food that you’re using to keep you well and it keeps you away from restaurant options that someone else prepared for you, probably using ingredients that aren’t the best for you (excess oil, salt, sugar, etc.). Leave out the middleman and cook more at home, even if that means preparing simple meals such as soup, a protein and veggie, a macro-bowl or salad, or even some smoothies with oatmeal for a fun breakfast for dinner option. Cooking your own meals is one of the best things to do for life long health, so see all of our food tips here to try all kinds of hacks in the kitchen. Instead of shaking salt on all your food, try using herbs to flavor them instead. For breakfast, use cinnamon, cardamom and ginger for a sweet and spicy flavor. For lunch, use Italian seasonings, sage, black pepper, and/or cayenne and turmeric. For dinner, try some garam masala, pepper, oregano, basil, and thyme. Mix these up however you like, but use them more often; they’re some of the best ingredients that provide antioxidants, mood-boosting benefits, and even anti-cancer benefits. They also reduce blood pressure levels, unlike excess salt that can lead to hypertension (chronically high blood pressure). Sugary foods are not part of a healthy diet, mostly because they’re processed, void of nutrients, and can be addicting. Instead of choosing something with sugar, have an apple, some berries, a banana, an orange, or just enjoy sweet veggies like carrots instead. Your body will learn to love the taste of fresh vegetables and fruits when you give it a chance. Sugar ages your skin, messes with your digestion, makes you moody, tired, and doesn’t satisfy your appetite. Ditch it; you’ll feel much better in no time! This might sound difficult but is easier than we all think. Getting up just 30 minutes earlier in the morning will give you plenty of time to get in a good walk (or jog). If you like to run, even better, but walking is great too. Moving first thing in the day boosts your serotonin levels, provides energy to the body, and also helps you focus better throughout the day. It is also an easy way to improve your metabolism to help manage your weight. How many of you have ever thought, “I don’t have time to lift weights,” or maybe you know you have time, but just don’t enjoy it. Whatever the case, here’s an easy way to combat that issue: Pick something heavy, whether it be a kettlebell, a dumbell, or even a household item you can grasp in your hands that is heavy but still light enough to pick up. Lift one of these items for just five minutes a day, preferably over your head like you would if you were in the gym, along with by your sides to work your arms, and even hold this while you do a few squats too. Resistance training not only improves your metabolism, but also boosts testosterone in the body that improves your sense of motivation, focus, and even your energy. It also aids in strengthening the body, even in just five minutes. If you have time for more great, but if not, five minutes is enough to get you out of breath just enough to get good results. If you can do this three different times throughout the day, you’ve lifted weights for 15 minutes without realizing it. Sitting is not as evil as it’s being made out to be now, but it is tremendously important that we don’t “over sit” our welcome. We need to stand more throughout the day, even if that’s while chatting with friends, talking on the phone, or just getting up in between nightly relaxing activities before bed. If you like to watch television, be sure not to sit there for hours on end while doing so. If you work at a computer all day, get up and move around or try to stand and work however possible. Sitting too long makes you tired, can cause brain fog, increases your insulin levels, and slows down your metabolism. It can even lead to a bad mood, and antsy nature. The body likes to move; give it what it needs. When commuting to work throughout the day, running errands or the like, it’s important to be active during those activities when you can. For instance, if you can take the stairs more often, do it. If you can walk to work, do it. If you can park further away at the store, do it. You get the idea. Working in a large city makes it easy for most people, but those that rely on cars and public transportation may have to keep this in mind to prevent easy access to more sitting and less activity. Stretching is one of the most overlooked exercises that improves your mood. It releases muscle tension, prevents muscle cramps, improves lymphatic flow and blood flow that can make you happier and also keep digestion working well. It also prevents muscle stagnation that can just make you feel badly. Stretch in the morning a little and a little more at night before bed. Even just a couple minutes will make you feel better — try it! Take a stroll around your neighborhood or walk through a local park each day if you live near one. If you have a dog, take them for a five minute spin down the street. Or, maybe you have the option to exercise outside — try it; it’s rejuvenating compared to indoor treadmills! Being active outside, even just for a few minutes, is a great way to enlighten your spirits without even trying. It puts you in touch with nature, which studies show can actually benefit our brains, prevent depression, and exposes us to the most natural source of vitamin D available to us: the sun. While not everyone may enjoy yoga, its many benefits are so profound that we should all at least give it a shot. Don’t let yoga intimidate you if it seems out of reach or strange. It’s actually just a fluid way of moving your body, stretching everything out, and being kinder to your body through movement. While a grueling workout at the gym is great for pumping muscles, yoga is a nice change of pace that reduces cortisol in the body. This lowers stress around the clock and reduces insulin spikes that are caused by elevated cortisol levels. Yoga also stimulates lymphatic flow, a key to keeping your body feeling well in more ways than one. Try some beginner You Tube videos; even just 10 minutes is a great place to start! Most of us don’t consider our hormones when we plan out a meal or grab something to eat — but we should. Our hormones completely control how we feel, act, think, and even how we treat others. And guess what controls our hormones for the most part? Aside from sleep and our lifestyle, our diets do. Though rest, stress management, and staying active play a part, nothing acts like directions for your cells like your food does. Certain foods can disrupt hormonal function and possibly even lead to mood disorders, anxiety, or depression. Some of the most common foods to avoid are: dairy, gluten, processed foods, and sugar. Even for those not allergic to gluten, it seems to play a part in the way the brain feels, thinks, and can lead to depression and hormone disorders. Most dairy products have also largely been linked to brain fog, estrogen imbalance, and overall anxiety and depression. One reason these foods create a problem is due to the protein structures they contain which interferes with optimal hormone processes. Sugar and processed foods also upset insulin levels and can interfere with optimal hormone function as well. Eat whole and unprocessed foods whenever possible. Nuts, seeds, leafy greens, vegetables and fruits are some of the best foods you can give our brain on an ongoing basis. This can be as small as something such as cooking your favorite breakfast, writing in a journal a few minutes a day, participating in a local event, participating in a favorite hobby, or anything else that you just truly love. Doing something small for yourself every day is a great way to enhance serotonin levels in the body to raise those feel good hormones on a regular basis. Magnesium is the anti-stress hormone, not to mention the host of other benefits it has for your body. Plant-based foods are rich in magnesium and are important to include in your day to optimize mental wellness. Some of the best sources include leafy greens, nuts, seeds, cacao, bananas, avocado, and sweet potatoes. See some magnesium-rich recipes here to find out how to work more of this important mineral into your diet! Healthy fats are like fuel for a good mood. They’re one of the most important things to include in your diet to promote a healthy mood (and a balanced metabolism). Healthy fats also promote good heart health, reduce cholesterol, and contain none of the harmful side effects associated with animal-based saturated fats. Go for raw coconut, avocados, almonds, walnuts, acai fruit, flax seeds, cashews, hemp seeds, chia seeds, pumpkin seeds, sesame seeds or tahini, pecans, and olives. Many of these are also packed with protein, B vitamins, and magnesium to enhance brain health even further. Consistently telling yourself reasons why you can’t do something, don’t deserve something, or will never achieve something are never going to get you where you want to be. Ditch the negative self talk and start creating new messages instead. When you change your mindset, you have the power to change your life. This is one of the most overlooked, yet most important things, that everyone can do for better mood and mental health daily. B vitamins reduce stress in the brain, promote energy, and enhance focus — who doesn’t want all of those things?! Vitamin B12 isn’t the only one important for good health. Other B vitamins, specifically vitamins B3, B5, B6, and B7 are also important. If you eat a plant-based diet, you can easily get enough. Some of the best sources of B vitamins include: nuts, seeds, leafy greens, broccoli, avocados, root vegetables, coconut, beans) (including coffee and cacao), bananas, pumpkin, berries, legumes, and whole grains. Mix these up throughout the day for a healthy brain all day long! Even if you’re not vegan, just eating more plant-based foods is a great way to enhance your mood. Plant-based foods have been shown to relieve depression, anxiety, and even promote mental clarity. Don’t take our word for it though; give it a try yourself and see! Here are some recipes you can try that are whole-food based and sure to make you feel good around the clock! Social wellness is something most of us don’t pay enough attention to, but we should for long-term health. Even if you enjoy alone time, keep in mind that we are all social creatures by nature. We aren’t meant to give ourselves the privilege of being social whenever we can. Corresponding with others can relieve stress, enhance our mood, and even promote longevity. Even just spending time with friends, family, or chatting with someone at the gym, park, or the office is an important way to stroke your social needs daily. Why has sleep become something we have (and even hate) to work into our schedules? Sleep is a gift, something that’s just as important as the food on our plate and our exercise habits. It’s the time of the day that our body resets itself, detoxifies, and allows us to be able to conquer the next day ahead. Depression, weight gain, stress, and even food cravings can all occur when we don’t get enough rest. For some of us, our sleep needs may be 8 hours, and others it could be 9 or 10. Don’t just yourself by how much sleep you need — get enough until you wake up at the same time each day without the need for an alarm clock. Having nice things is great, and such a treat to give ourselves whenever we can, however we should never forget how much joy that being a minimalist can bring to our lives. Being a minimalist can be as small as reducing the amount of products we use, to learning to prepare more simple meals. It means that sometimes less is more, and sometimes, the little things can give us the most joy. Try scaling down your wardrobe and donating what you don’t wear anymore. Ditch the pricey beauty products and use more natural options instead. Clean out your kitchen and stick to whole foods with simple preparation tips. This is a great way to make life simpler, which can make you healthier and happier without the need for so much stuff. Our schedules can turn us into creatures of habit. We can easily just start going through the motions if we’re not careful to try new things, but this can also make us bored, unhappy, and possibly lose our passion for things we care about such as being active, our jobs, and even our healthy eating habits. So the answer is to try a new activity when you can, possibly once a month. This can be something as simple as trying a new cooking method, trying a new exercise, working in a different atmosphere, trying a new approach to something at your work, or even just shopping at a local farmer’s market instead of a commercial grocery store. Expose yourself to new activities and see how great it can make you feel! Doing something nice for others doesn’t just benefit them but also you too. We’re meant to be giving creatures, yet many of us see giving as a form of sacrifice. This is simply not true. When we give, we get so much more in return in more ways than one. It doesn’t have to be related to money at all either, but could be a simple as sending a card, an email, making a dish for someone, running errand for a friend, sending flowers, taking someone to lunch, or even just letting someone ahead of you in line at the grocery store. Or, give to an animal organization, volunteer at one, or just do something to promote cultural awareness and animal welfare. Doing small things for the good of others on a regular basis is an important part of long-term wellness. Try it and see how fulfilled it makes you feel, and how you might just change the lives of others in ways you may never even know. No matter what we have going on in our lives, one of the most important things we can all do is bring energy, not steal it. This means maintaining a positive outlook and energy, even if our lives are not as they should be or we wish they were. This is important for our health, along with the health of others around us. People who have a positive spirit can make a huge impact on people around them. If everyone practiced this regularly, the world would like be a more energetic, happier place. The next place you go to, even if it’s a meeting at work you’re dreading, bring energy and positive nature into the room instead of steal it away with a negative outlook. If you work out in the morning, this is a great time to get some quiet time to yourself, but even if you don’t, try to spend a little bit of your morning in the quiet when you can. This can help reduce the stress hormone cortisol in the body, which peaks first thing in the morning. It also gives you some time to think to yourself before the busyness of the day begins. You might like to write out your thoughts, to-do’s, prayers, concerns, or whatever else comes to your mind first thing in the day — do whatever suits you. Taking just 10 minutes each morning, perhaps over coffee, is a great way to take care of yourself in a small way each day. And there you go friends, a month’s worth of wellness tips you can practice to be a healthier, happier you in just 30 days. You can try one tip per day, or optimally, build on each day as the month goes by. You won’t believe how different these can make you feel when practiced on a regular basis. Remember, wellness is merely a gift you choose to give yourself that begins with one simple choice after another. Start your wellness journey today!